If you love early readers and making readers fun, then you must celebrate Dr Seuss Day! 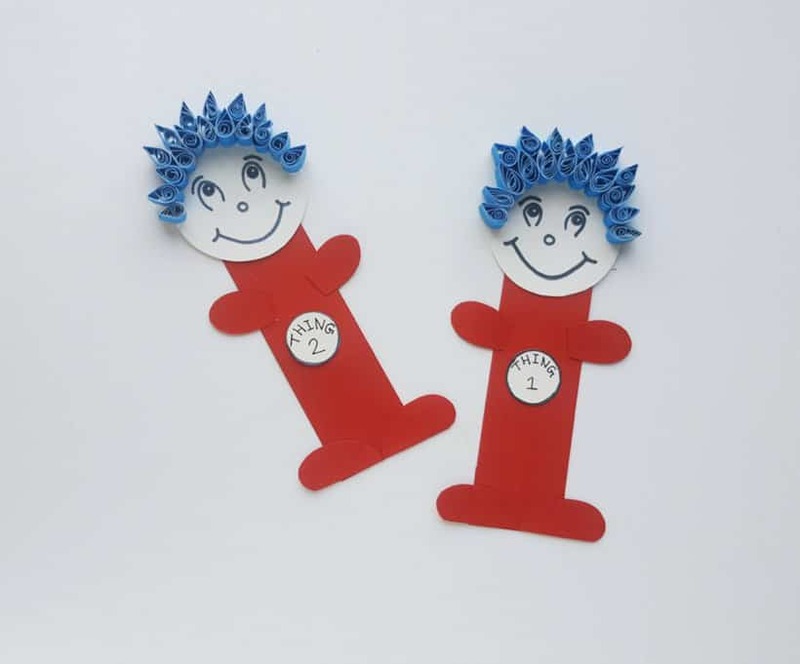 Gather your children, whip up some Thing One & Thing Two Cookies, and then create these adorable Thing One & Thing Two paper crafts. Print and cut out the pattern from the template. 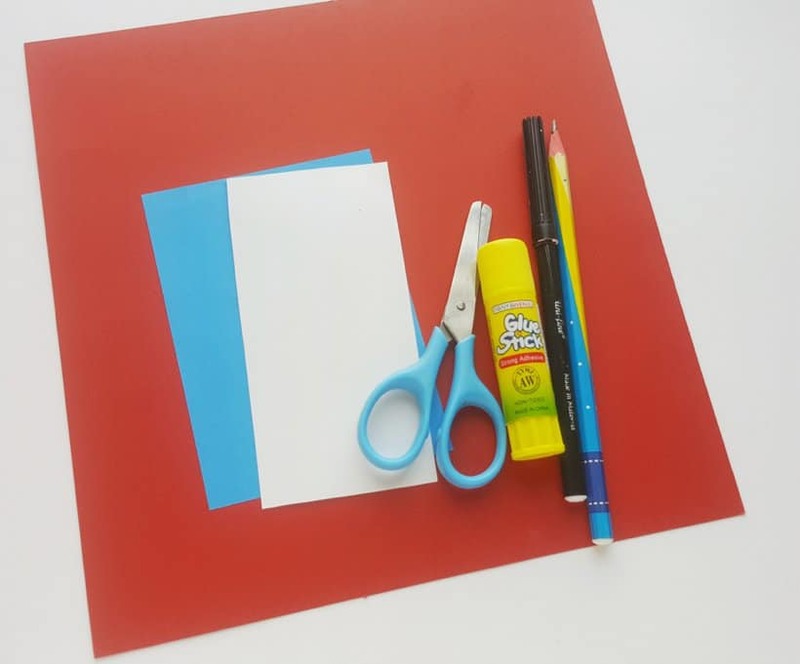 Trace the template patterns on your cardstock papers. Next trace two circles on white cardstock paper, and the rest of the patterns on red colored cardstock paper. 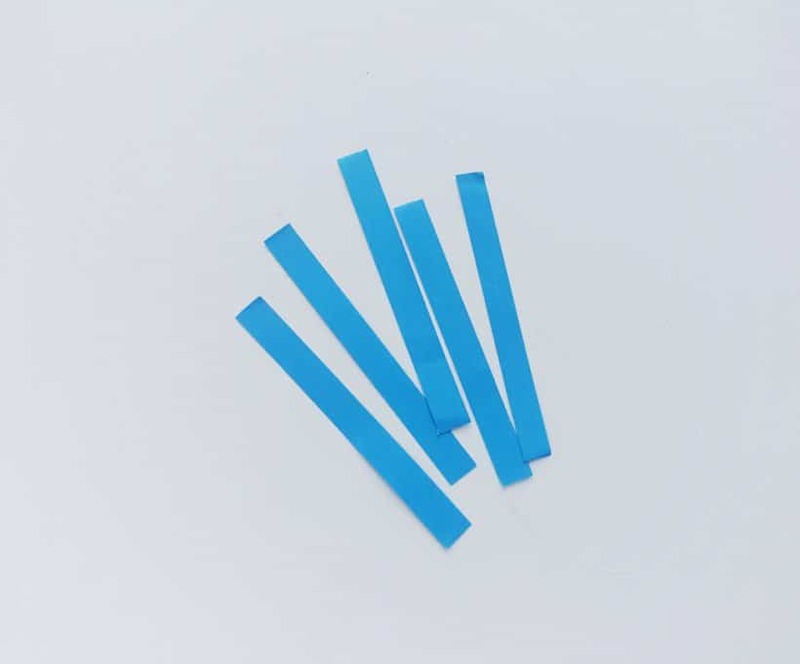 Make 3/4 inch x 4 inch strips from blue cardstock papers – or craft paper will also work fine. 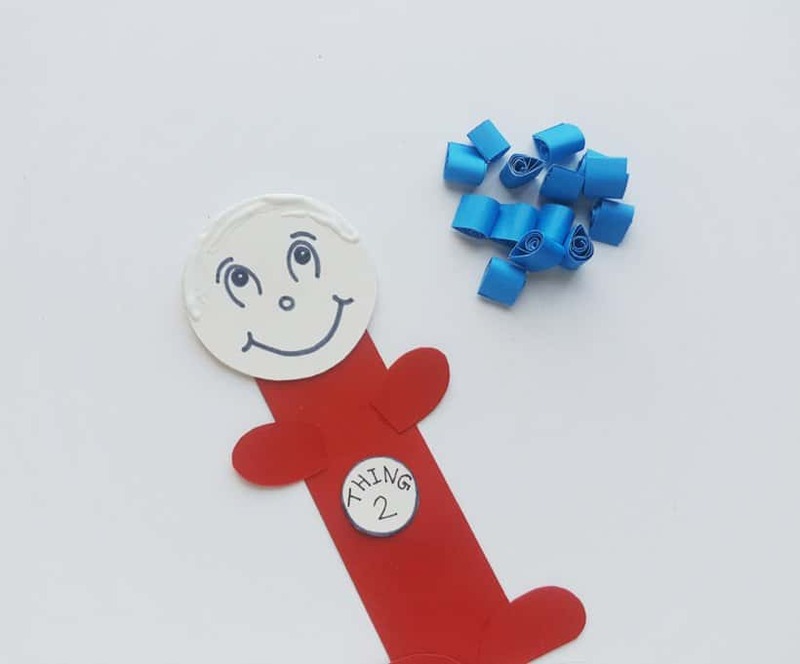 Gather the cut out patterns that you prepared in the first step. 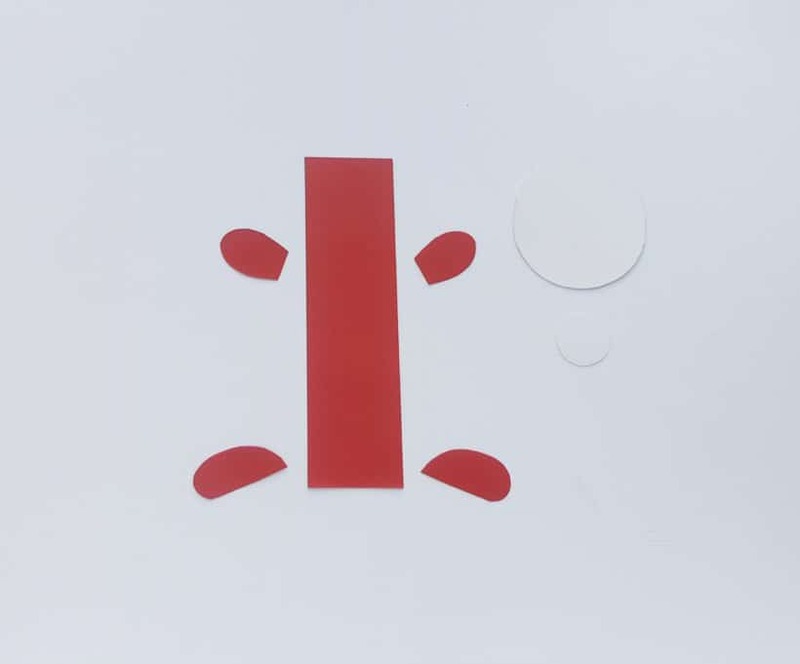 Place the rectangular cut out vertically on a flat surface. Stick the feet cut outs on the bottom side of the rectangle. Stick the hand cut outs on each side of the rectangle, being sure to keep enough space at the top for the head (big circle). 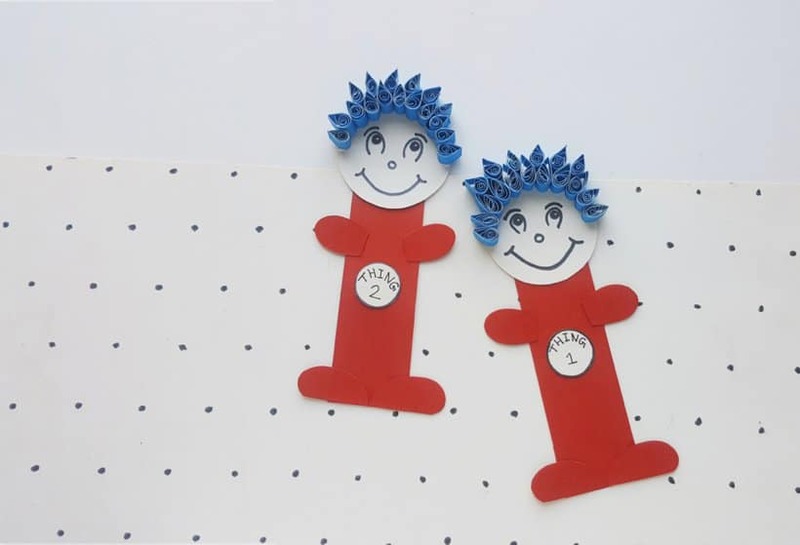 Use a black sharpie or marker pen to draw the faces of Thing 1 and Thing 2. 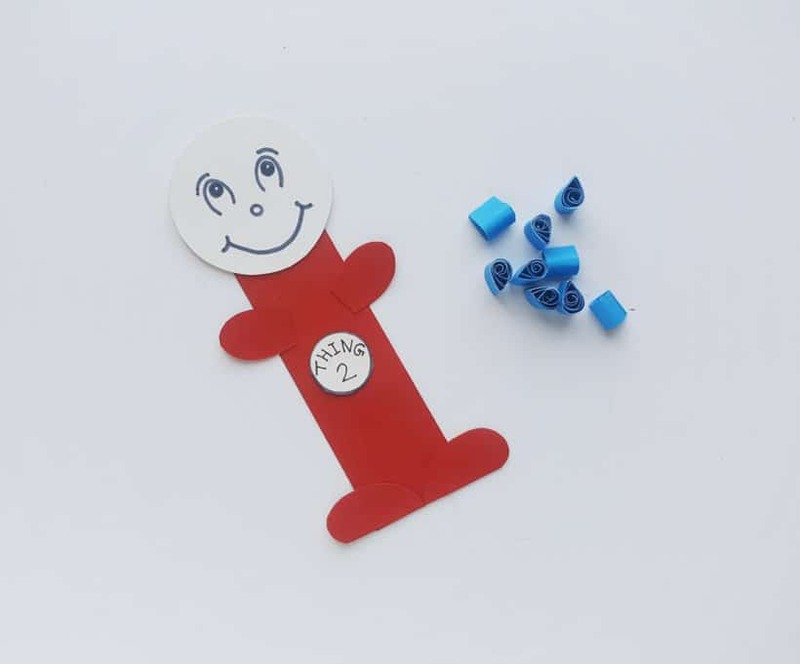 Also write ‘Thing 1’ and ‘Thing 2’ on the small circle cut outs. 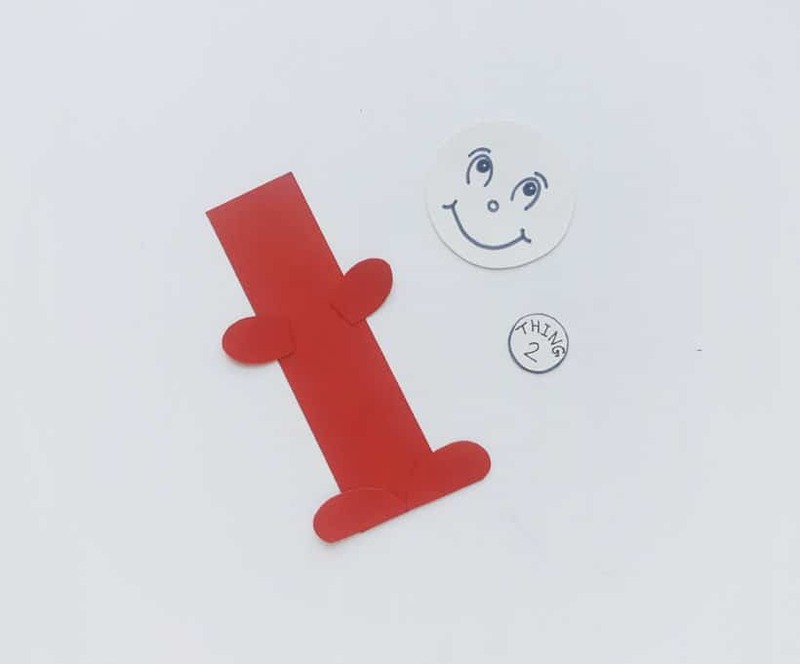 Attach the head on the top end of the rectangle and attach the small round cut out onto the middle of the rectangle. 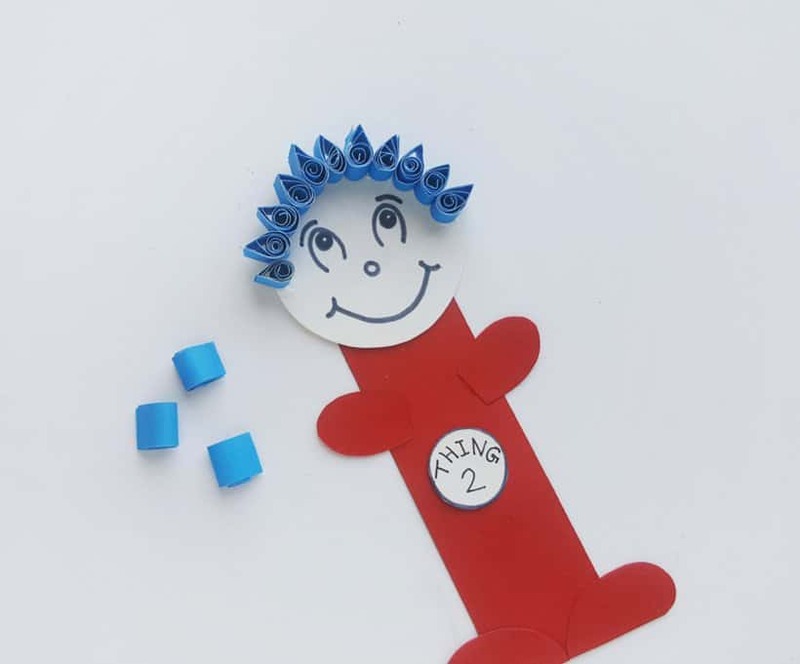 Apply craft glue along the top of the head. 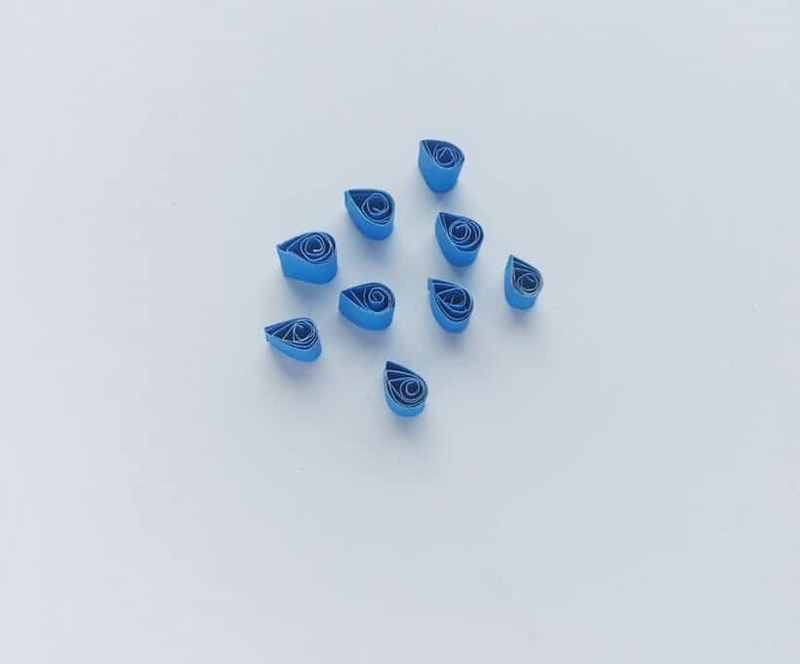 Place the quilled teardrop shapes on the glue, with the pointy side facing outwards. Add another layer of quilled teardrop shapes to the previous layer. Glue the second layer outside the first. 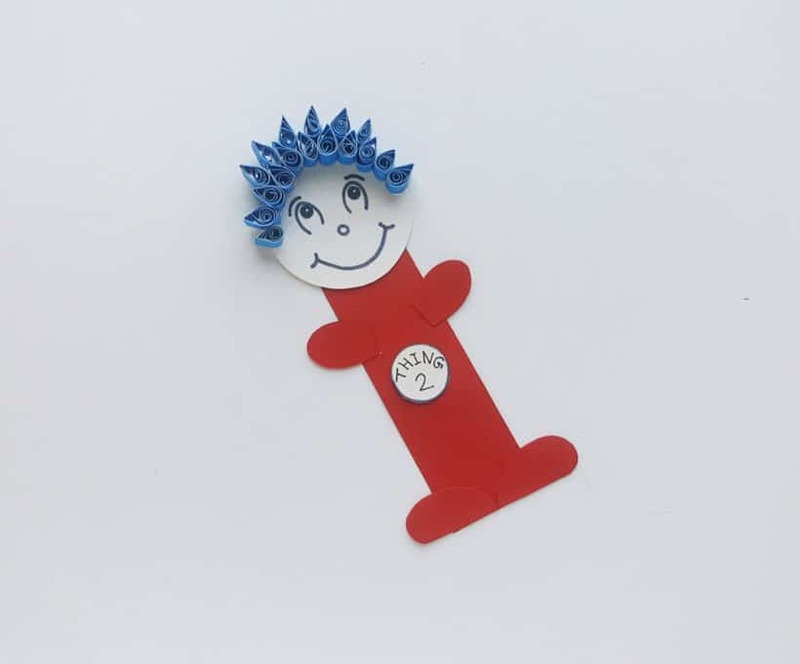 Once you are done gluing the quilled shapes keep your Thing on the flat surface until the glue is dried completely. Wasn’t that fun and easy! 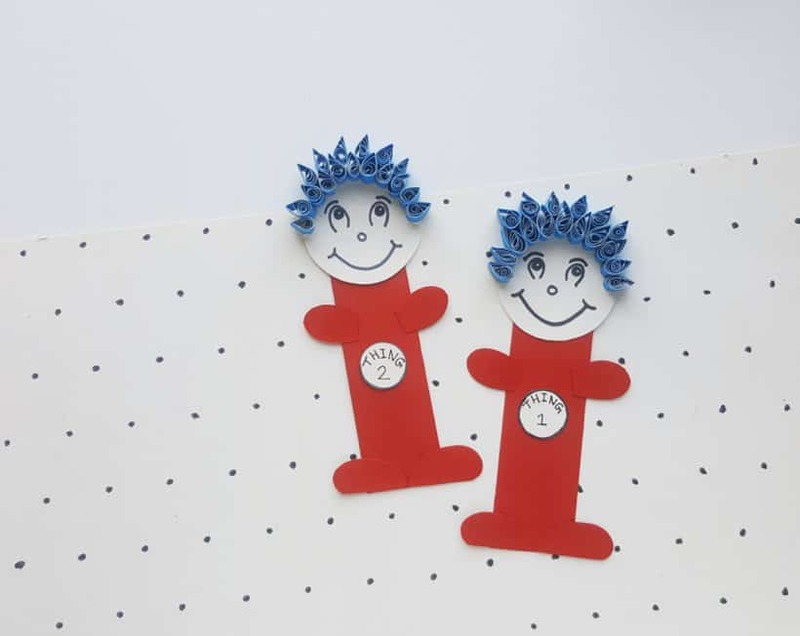 Gather the rest of your paper and supplies to make the other ‘Thing’ craft. Now, while you are having on fun Dr. Seuss Day, grab a stack of Dr. Seuss books, and check out these fun Green Eggs and Ham Deviled Eggs and these One Fish, Two Fish, Red Fish, Blue Fish Cupcakes.